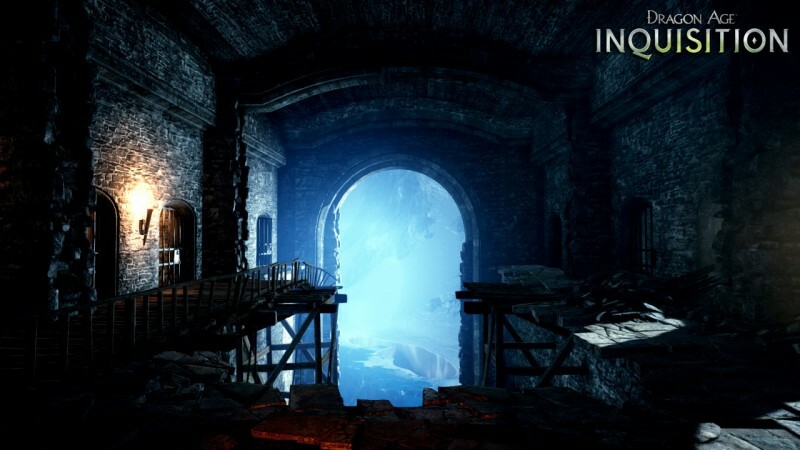 During your time as Inquisitor, you will travel to far-off lands, fight exotic beasts, and explore ancient structures. 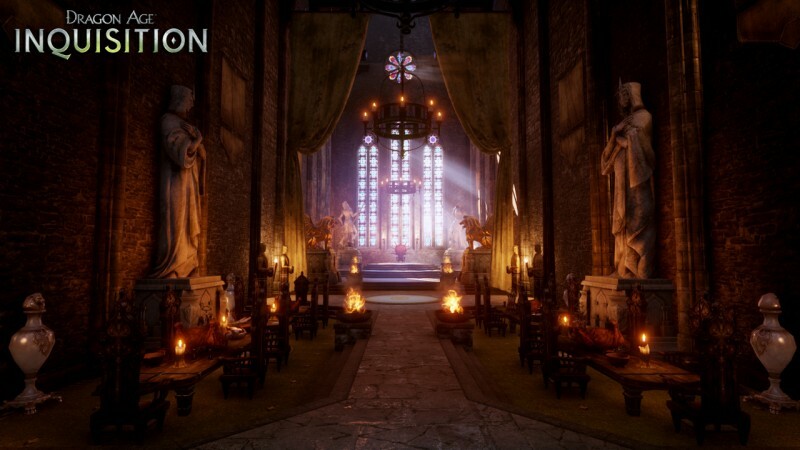 However, at the end of all these adventures, you and your Inquisition still need a place to regroup – a place to call home. In Dragon Age: Inquisition, that home takes the form of a castle called Skyhold. Though it serves as a nexus for many elements that are important in Inquisition, Skyhold is not just a utilitarian hub. 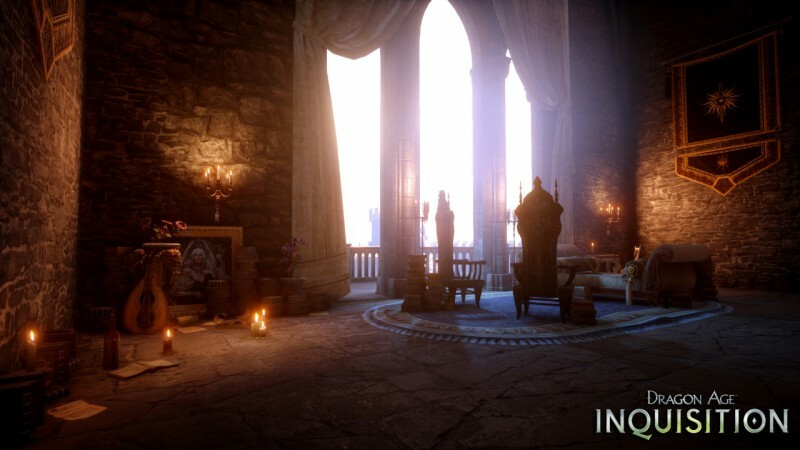 During a visit to BioWare’s Edmonton studio, creative director Mike Laidlaw and producer Cameron Lee shared some tidbits about the unique functions the castle serves, and how Skyhold gives players a greater sense of the Inquisition’s power and progress. Feel free to choose whatever appeals to you, because the customization of Skyhold doesn’t carry over into your Inquisitor’s stats. “The problem with going too heavy with game mechanics on that is, suddenly, you’re min-maxing your base,” Laidlaw says. “If we did a system where ‘this outfit does this, and it’s the best outfit,’ well, now I have to wear that outfit or sacrifice my gameplay. So, something like what banner or carpentry I use, to me, doesn’t have to have a gameplay effect. If you’re into it, I don’t want you to feel like you’re being penalized.” In other words, the rewards for your customization are found solely in having a base that reflects your decisions and preferences, but that doesn’t mean that Skyhold is lacking in ways to make you more powerful. Apart from your literal seat – the throne – Skyhold also is the place where you determine where and how your Inquisition expands. Using the war table, you determine where the Inquisitor’s attention is most required, choosing which areas to unlock and where to send your agents. When it comes to expanding your Inquisition, you need to track three different resources. The first is influence, which is effectively like your Inquisition’s XP, and it grows as you adventure and complete tasks. When the Inquisition reaches a new level, you can spend points on global upgrades like the ability to carry more potions or the chance to harvest extra crafting materials. The second resource is power. While influence constantly grows, power is more of a currency that you earn and spend down. Power is used to advance the main story, but also to unlock optional areas at the war table. The third resource is time. The Inquisitor doesn’t handle every problem personally, so special missions called operations (also unlocked with power) allow you to send agents to finish them in real time. After a set amount of time passes (some operations can take a full day or more), the mission is complete and you get your reward. Some operations are even multi-part affairs that require input from the Inquisitor on how situations should be resolved once the dust settles. 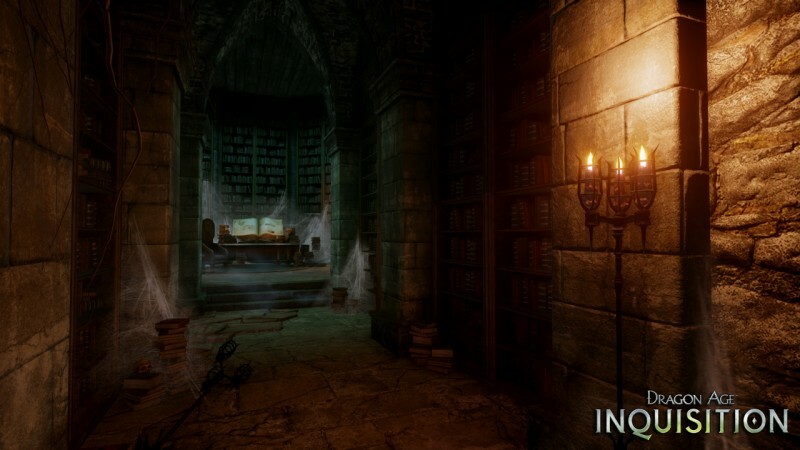 Earning and expending these three resources forms the core of Inquisition's structure. Whether you're completing sidequests, gathering crafting materials, or exploring different zones, everything you accomplish feeds into your overall progress. Because Skyhold is where the members of the Inquisition gather, you can wander around the grounds and find all of your allies. They all find their own corners and make themselves at home; Leliana can be found in the rookery, for example, while Sera is more comfortable in the bar. “You get to see their spaces become theirs – they kind of personalize them,” Laidlaw says. “Some degree of their demeanor comes through, like Dorian with a massive leather-backed chair.” Not only are these characters hanging around, but players’ interactions with them in this situation are deeper than they were in Dragon Age II. “A lot of our fans missed the ability to interact with their party members and close friends, and just say ‘Hi, how are you?’ like in Origins,” Laidlaw says. “Many of them will be delighted to know that that is back, full force, in Skyhold. You walk up, ‘Hey Varric, how’s things? 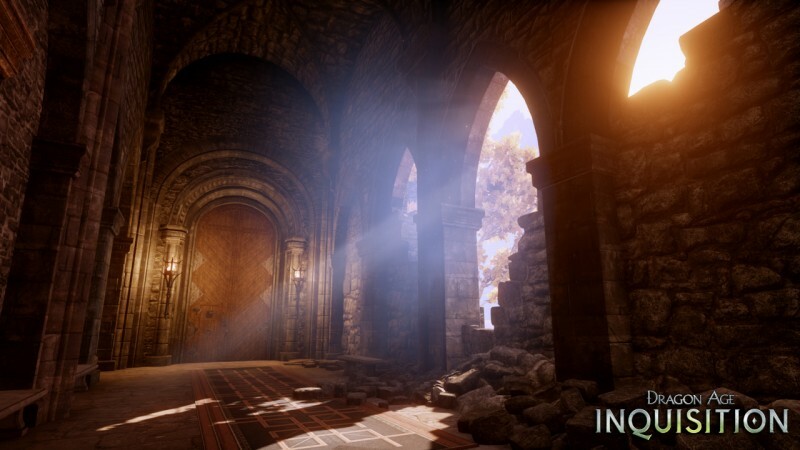 Tell me about Kirkwall.’ Getting a sense of their character, digging in. You can just go, ‘Plant one on me,’ which is pretty satisfying in a weird way.” In some cases, your main avenue to interact with your romantic interest is also at Skyhold. Your advisors Cullen and Josephine don’t travel with you as fighting companions, but they are still potential love interests. How you use your time at Skyhold with them can shape the direction your relationship takes. The throne in Skyhold’s main hall isn’t just ornamental. By sitting in it, you may have the opportunity to participate in judgments – scenes that portray the Inquisitor essentially holding court and making a decision regarding someone’s fate. Though Lee and Laidlaw enjoy discussing the more lighthearted examples, not all judgments end with a smile. You can exile characters and execute them, and in one case, you can sentence a mage to Tranquility.